Remarkable things, acorns. They’re packed with proteins, carbohydrates, and fats, as well as vital minerals: this is why they make such great animal food. 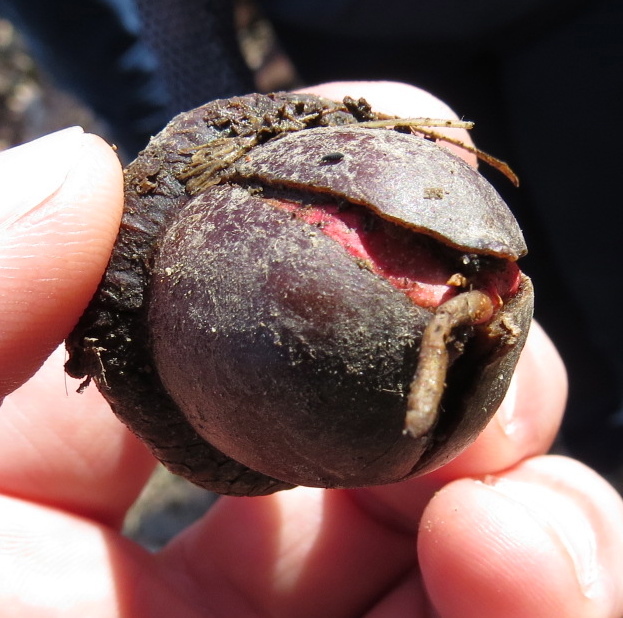 There are not many mast-eaters in Brooklyn Bridge Park, though, where I found these red-to-mahagony colored nuts breaking through the shells recently. 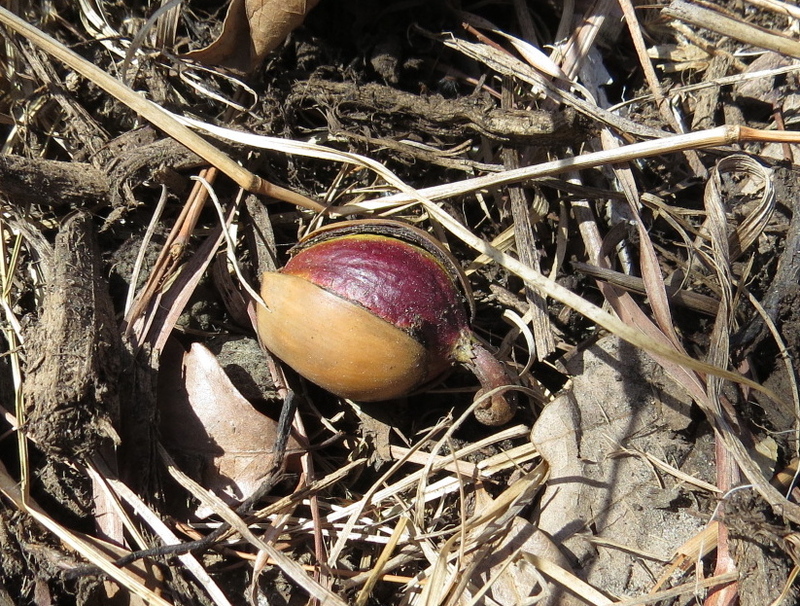 After wintering under the big freeze — hibernating, basically — spring finds them cracking their outer shells and sprouting a probing, earth-anchoring root. These will pull the seed down into the soft duff and into the soil. These are Chestnut Oaks (Quercus prinus) and they really were these lovely colors. I don’t recall seeing this intense color before? The Horticulturist thinks this is a safety feature, like those red leaves that emerge first from tree budss, to protect against the sun’s harsh rays. Here’s another, from Black Rock Forest. 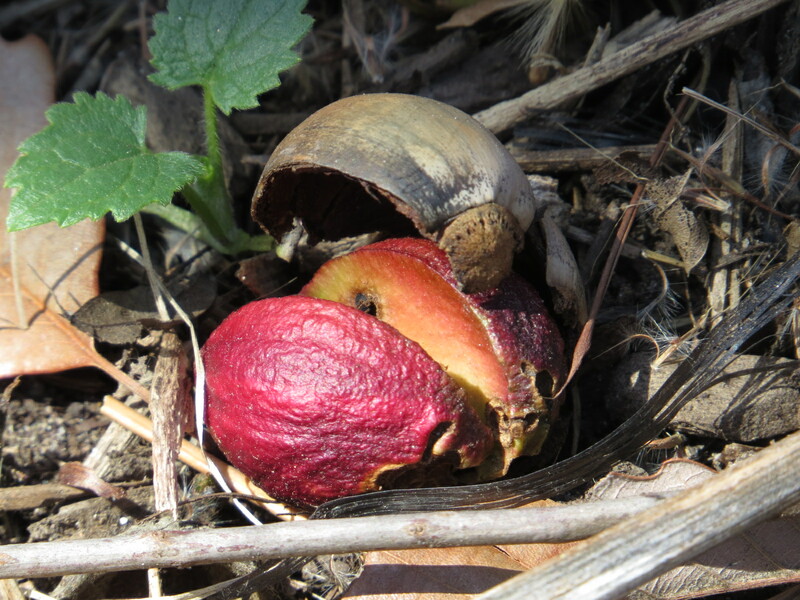 This one has sprouted, but hadn’t managed to anchor in the ground yet, probably because it was on the hard-packed trail.